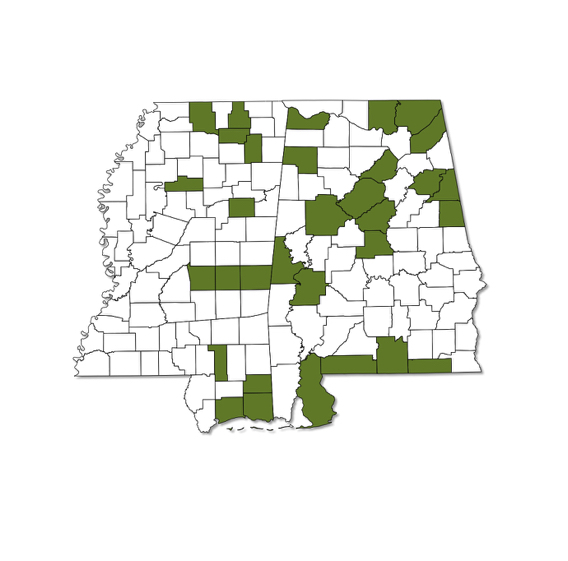 Expected to occur throughout both Alabama and Mississippi. 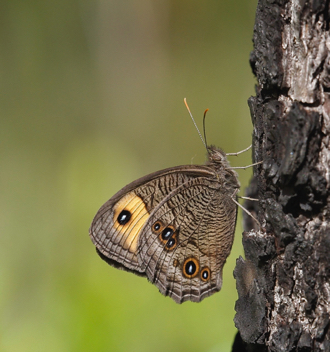 A large, brown satyr typically found near the edge of woods. 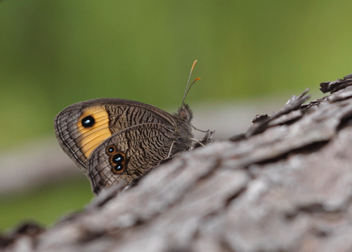 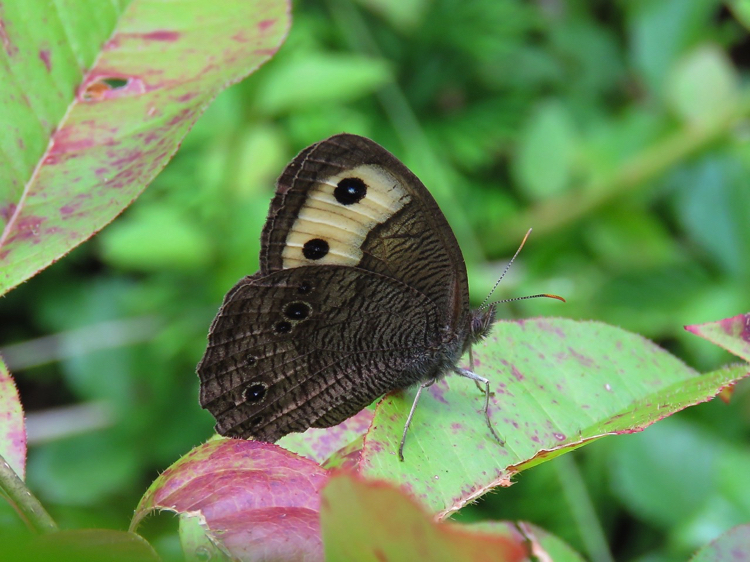 Easily identified by large yellow patch on forewing, which is visible both on the upper and lower surface. Also, has two or more eyespots on the upper surface of the forewing and multiple eyespots on the upper surface of the hindwing. This species rarely perches with its wings open.